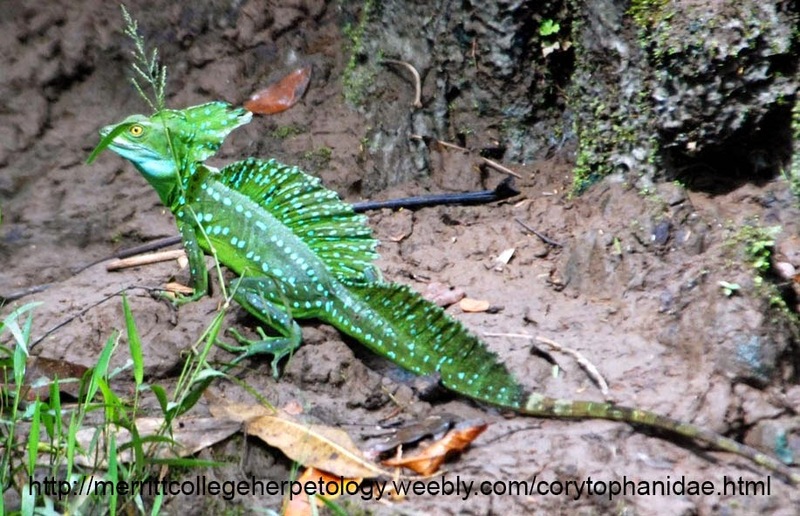 Basiliscus is a genus of lizards commonly known as Basilisks or the Jesus Lizard. Before you get too excited I should clarify that they don't scorch the earth on which they walk, they can't kill you by looking at you and they don't have wings. I suspect they were named after the ancient Greek legend because of the large crest on their head. The ancient Greek basilisk was king of the reptiles and had a crown growing out of its head. So they may not have all the traditional powers but they do have one really cool trick. They can walk on water. When I say walk, it only really works when they are running but in any case that is where its common name the Jesus lizard comes from. Much like the frill necked lizard they can run on their hind legs, only these guys have webbed feet. They expand the web while running to increase the area of contact with the water and run as fast as their tiny legs can carry them. They can only keep this up for a few seconds, but fortunately for them they are also great swimmers. 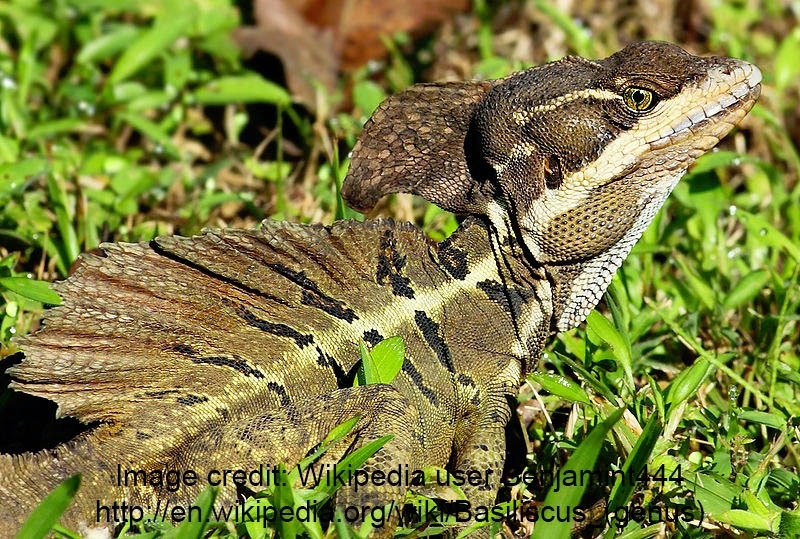 Basilisks are endemic to central and tropical South America. There are four recognized species in the genus.